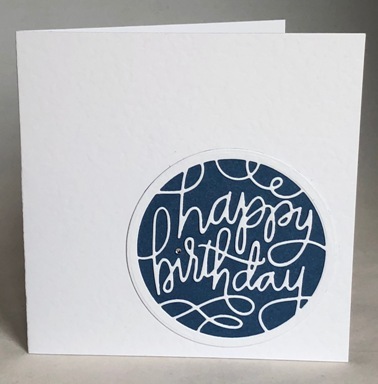 I have die cut the circle which says Happy Birthday from white card and backed it with deep blue paper. I have placed a tiny clear acrylic gemstone to dot the “i” in birthday. The card is blank inside for your own birthday greetings. If ordering by phone, please reference card #788.